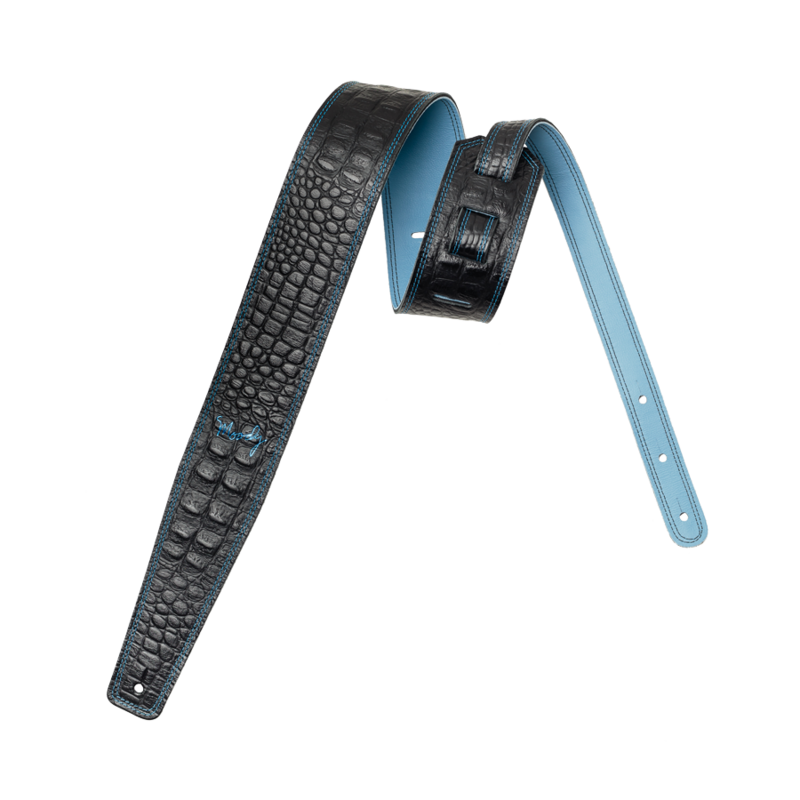 This is the best 2.5-inch black and blue faux gator leather backed guitar strap in the United States! Made only from the highest quality of material, our chic guitar strap is handcrafted and comes with reinforced double stitching, making it both distinctive and durable. If you are looking for an extra strong guitar strap, then this should be your choice. Take your pick from the standard, long, and extra long configurations for maximum conform and functionality.